ExxonMobil Corp has bought a liquefied natural gas (LNG) cargo to keep its Papua New Guinea plant cold after a powerful earthquake triggered a production halt last month, several trade sources said on Monday. 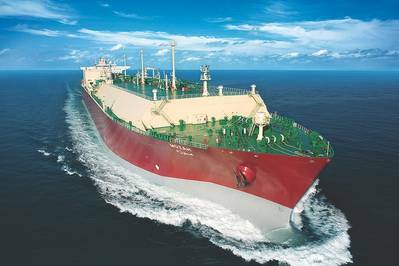 The cool-down cargo could be a first step toward restarting LNG production at the facility ahead of schedule or it may simply be needed to maintain operational readiness, traders said. Stopping the liquefaction process which condenses gas into a liquid at minus 162 degrees Celsius causes LNG plants to warm up, requiring cargoes to be imported to keep cryogenic tanks and equipment operational. "If LNG is loaded directly into warm tanks, the tanks will crack," an industry source said. Exxon's Papua New Guinea project was shut in late February after an earthquake disrupted feed-gas supplies from the gas-producing Highlands region. Exports were to resume by early May. The cool-down cargo is for delivery in early April and was bought from oil major BP, three of the sources said. Exxon did not immediately respond to an email seeking comment outside of office hours.